there i was quietly descending through the real murk created by NOAA over the isle of Wight, hoping to scud run into EGHI when I turned northbound out of Cowes I cam across this flotilla heading out to sea are they off to the Falklands again? 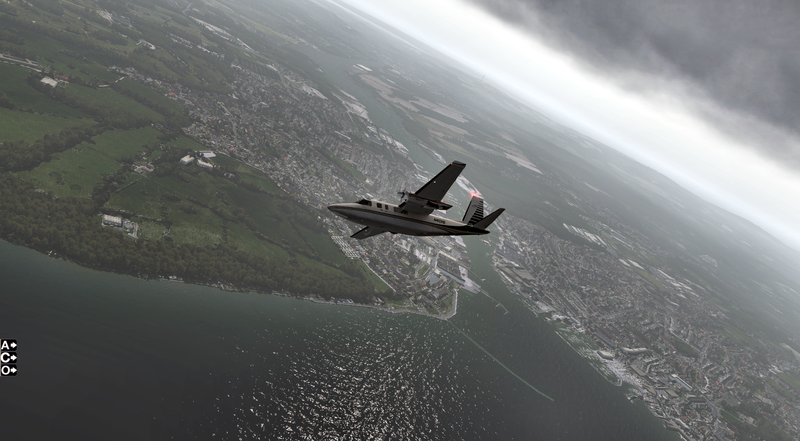 Nice set of pictures, is that ORBX True Earth UK South? 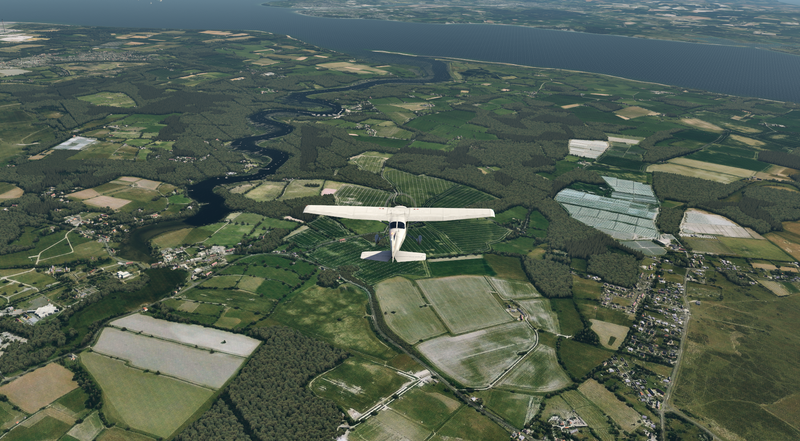 Hi M8 it is TE UK !it is quite good, not perfect by a long chalk and not much good if you want to fly with a vfr map on your lap as it doesnt showsmall rivers and some of the railways are not correct, This afternoon i have been flying around Southampton zone and although they do have Beaulieu (disused) airfield and stoney cross airfield which are reporting points to the west of soton they have put in a fictitious railway fro soton to lymington and christchurch, and although they show marshy land in that region they dont show rivers. It is easy to be overly critical of TE UK after all how long does it take for us to create our own scenery? 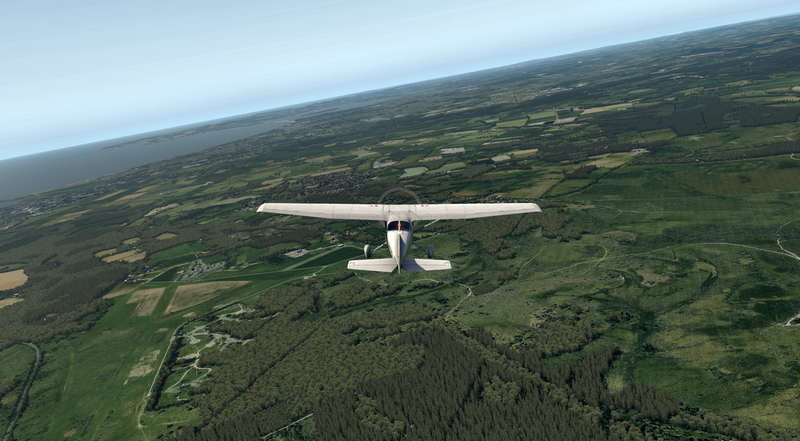 at 30 odd euros it is still a no brainer, but the trade off for accuracy is the forests are great and the immersion is a bit better than we get with ortho plus a few free add ons . Thanks Nigel, that would muck it up for me too. 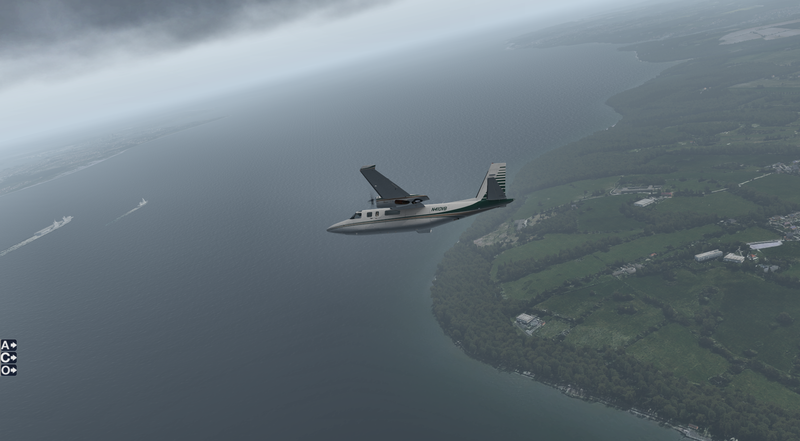 Why o why cant ORBX get it to look correct as does FSET and all the other scenery down loaders, it beats me? "They" tell us it costs "loads of money" for the commercial license to access the satellite images of "better quality" (I question this) and then produce this. OK you can argue well it only costs 30 quid, so what, lets get it looking as it should. Ah! 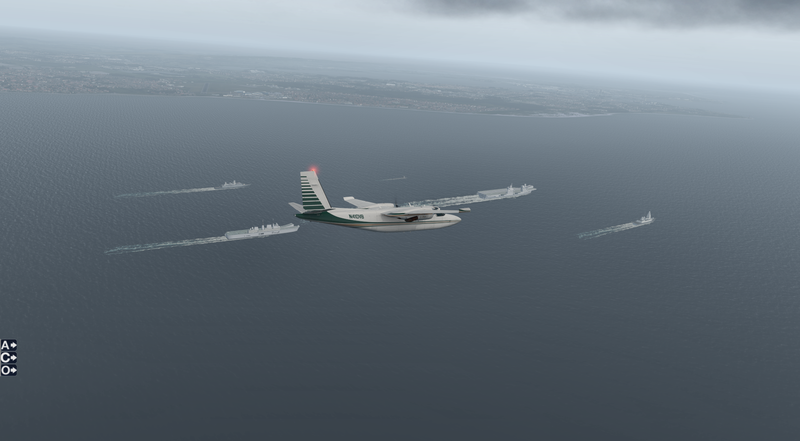 The anti ORBX shows through. You are wrong with your remarks as to the railway. There is now a fully Network Rail restored and working passenger line to Limington and Christchurch has always been on the network. There is also now a full connection to the network from Wareham to Swanage. There are many restored lines on the network that have been added back onto the system in recent years. You exiles forget, that progress does occur in the UK with you gone. Hi James, thanks for your update on the railways so ORBX has got it looking like the real thing, I take back my unfounded comments then. Its good to see that ORBX has got their act together after all these years and looking forward to seeing the rest of the UK soon. 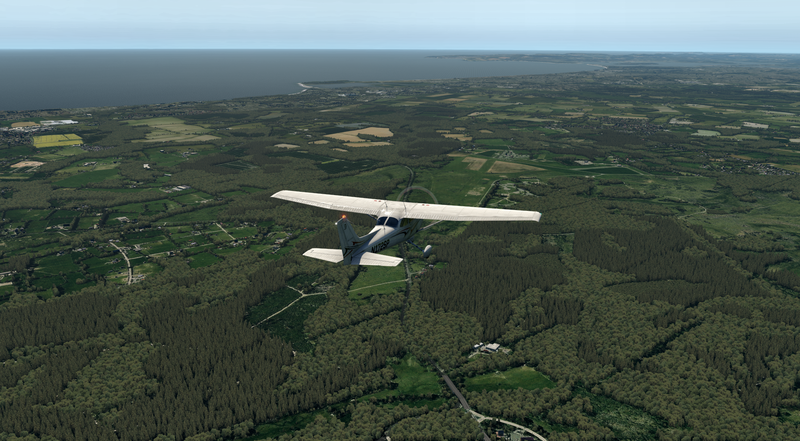 well I have to admit that I was wrong, having re-flown my route around soton it only goes to show what all pilots know ie there is nothing more difficult to find than an airport at times.